Depending on where you live, a lot of us in Northern America have started our winter planting. We are planting our veggies, flowers, and herbs in little pots to sit on our window sills until it’s time to put them outside. 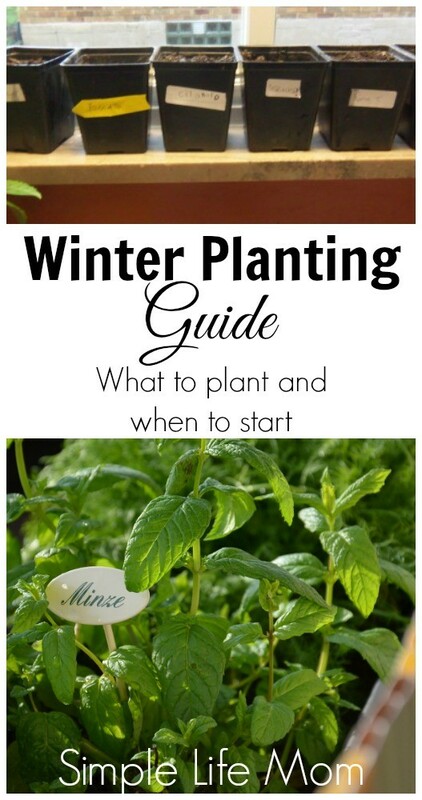 A winter planting guide get your started thinking about what you should plant and what you have room for. 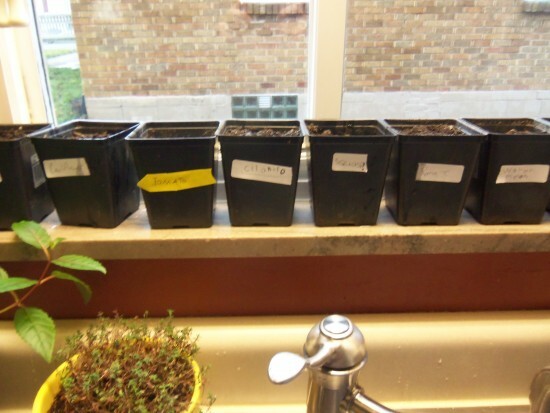 Most plants can be started indoors 8 weeks before being planted outside. The reason you do not want to plant much earlier than this is because the root system needs space to spread out after that. Some plants are too fragile for winter planting, or to start early and then transplant, and you need to wait until Spring. Others grow super fast and also need to be planted directly into the soil. For example, I do not plant carrots, green beans, peas, cabbage, or lettuce early. But I do start indoors other things that some people wait on, like cauliflower, squash, pumpkin, and watermelon. These things do not do well in my area due to a short season so I start them indoors when I start my other seeds. If you are interested in having your own indoor garden for the winter, you might be interested in lighting for your plants, you might want to check out something like https://ledgrowlightshq.com/best-led-grow-lights/ . All this should be kept in mind when using a winter planting guide. If you have limited space, like I do, only plant what you are going to eat. If you never eat eggplant, then don’t plant 6 or 7. If you’d like to try them out and incorporate them into your diet, then plant 1 or 2 plants, depending on your space. If you love to use marinara sauce in your dishes, then consider planting a number of tomato plants, etc. Make a list of things you love, things you’d like to try, and plant that. I’ve planted some things that only I like and had to give the rest away when I could not get the rest of my family to eat them. Now is when you can get a notebook and a great gardening book, like “The Vegetable Gardener’s Bible“, plan out what you’re going to do with your soil (which may change when you get out there and see what it needs), and where you’re going to plant each plant in the spring. If you’re going to start a new garden, then you will have more work in getting your soil ready to use. Consider using a lot of natural compost and fertilizer. A soil testing kit is relatively cheap and though it doesn’t test the plethora of minerals that are in your soil or that we need to consume, it can tell you about the Ph levels and 3 basic nutrients. If you’re using land already prepared in the Fall, then there is not too much to do except aerate the soil and give it a nice layer of compost. If you are just starting, consider where the sun will be and plan to plant tall plants where they will not shade smaller ones, unless those are crops with shallow roots like lettuces that are quickly effected by soil that is too dry. These can use tall friends. If you have planted in your garden before, you can use this time to consider how you will rotate your crops. Try to plant a different plant family in each spot. Think of it as each plant family using a lot of the same kinds of nutrients from the soil. If you plant them there again, those particular nutrients will become depleted. If you rotate in a plant from a different family, they will use different nutrients or nutrients at different levels and give the soil a chance to replenish itself. Another benefit to rotation: pest control. There’s nothing worse than having these little rodents and insects ruining your plants that you spent so long growing. Did you know that there are people out there (especially farmers), who instead of getting help from pest control companies take it upon themselves to use Airsoft Guns to get rid of the rodents? Not many people have heard of this method, but it does work. As long as it does the job, that’s all that matters. Though I don’t think moving my tomatoes over 5 feet will fool many bugs, there are a lot of insects that lay their eggs in the soil around their favorite plant and when those grubs hatch they just crawl up and devour your plant. Weeding – making sure you stay on top of weeding is important. When weeds take control they can bring in insects that normally would not have noticed or smelled your garden, as well as harbor diseases that will effect your plants. Mix it Up – don’t plant all your tomatoes together, cucumbers together, etc. A lot of bugs are drawn to certain plants. Also, if disease effects one plant, it will not immediately transfer to the plant next to it. Spend Time in Your Garden – In Spring, when the caterpillars hatch I will go and pick them off the broccoli and cauliflower. It doesn’t take long and it’s pretty easy to make sure you get them all. When you notice you are being over run by slugs, you have time to do something, instead of waiting for them to have more babies and eat everything by morning. Neem oil – Neem oil is derived from the seeds of a neem tree. It is highly effective against insects. I have read some books that say neem oil won’t effect butterflies, bees, etc. (which of course we desperately need), but others warn to spray in the evening when bees won’t be effected. 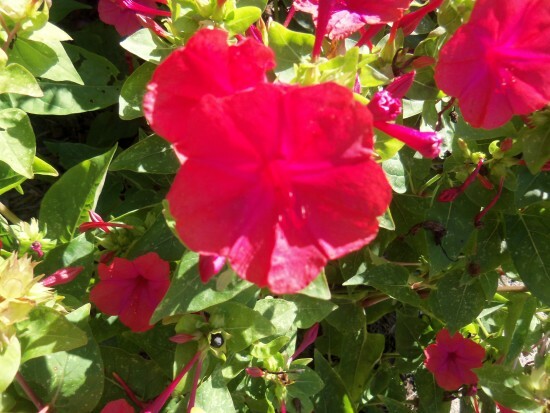 Blood Meal – sprinkle blood meal all over your garden – on the plants, not just the soil. This will repel many insects. Plants that deter bugs – Marigolds are stinky enough that a lot of pests stay away from them…though not slugs (they just eat them too). Ornamental Onions, nasturtium, garlic, and a lot of herbs. Now that you’ve figured out what you want to plant and what you can plant early, go ahead and get them started. I don’t use the tiny little seed starting pots because I think they get dry too quickly (I don’t have the attention or time to check them 3 times a day) and you have to move them while they are still small and it’s easy to damage them. If I do buy soil (not that seed started junk that has zero nutrients), I put the bags in my basement or kitchen and get the soil warm before planting. I use small containers I’ve collected from buying plants over the years that hold 1-2 cups of soil. I plant my tomatoes in the smallest pots since they benefit from being re-potted; burying half the stem to encourage more root growth. Other plants will stay in their original containers until they go outside. My kids and I sit on the kitchen floor and go to town. Labeling isn’t necessary if you can recognize everything when it’s bigger, but it’s fun to know what it is when they first start peeking out of the soil. Put the containers in a well lit area (by a window, under a light) and keep soil moist. I use lukewarm water to raise the soil temperature slightly.